Theresa May is making a desperate push against what seems like impossible odds to get her Brexit deal approved. Parliament, which has twice rejected the prime minister's deal, will be asked to approve a withdrawal agreement on Friday. If May is rejected yet again, the U.K. will have to choose between leaving with no deal or a long delay. May’s offer to step down has intensified an ongoing skirmish to replace her. Here are the possible candidates. Wow Air suddenly went out of business, stranding thousands of passengers. It's the eighth European airline to fail since last summer. Facebook was accused by the U.S. government of enabling housing discrimination through restrictions on those who can view certain ads. The Sackler family was sued by New York for allegedly putting profit over patients with their marketing of the Oxycontin painkiller. DNA testing has changed the very concept of family. It not only includes parents, siblings, step-parents and step-siblings, but newly discovered biological parents, brothers and sisters. Lyft has been the perpetual underdog to Uber. But with its IPO, the ride-sharing company will finally get to call itself No. 1. What’s Joe Weisenthal thinking about? The Bloomberg news director is wary of President Donald Trump's revived Obamacare vendetta. Killing the Affordable Care Act risks a vacuum in which millions will lose coverage. It also means possible blowback against Republicans come election day, and the pendulum swinging toward broader Democratic proposals that could pressure for-profit enterprises in the health space. JPMorgan is cutting hundreds of jobs after a staffing review. Economists are actually terrible at forecasting recessions. The rise and fall of America's original food magazine. Trump accused FBI officials who investigated him of "treason." Brooklyn businesses are modernizing an ancient form of agriculture. Verizon will help you block robocalls—for an extra $3 per month. In Beijing, it’s often cheaper to have food delivered than to get it yourself. Like, way cheaper. 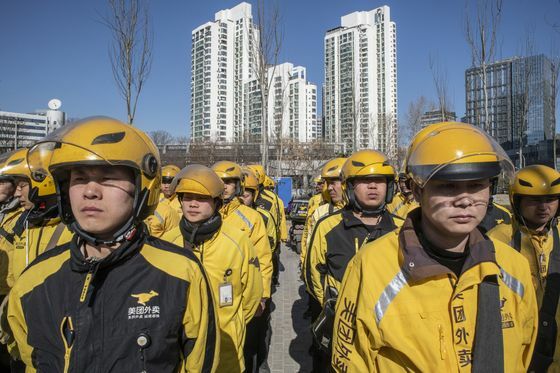 The stunning bargains available in China's $35 billion delivery market aren't the results of efficiency—it’s a fight between Meituan and Alibaba. Both companies are spending billions of dollars in a war of subsidies so huge that even Jeff Bezos would have cut his losses by now.